1. 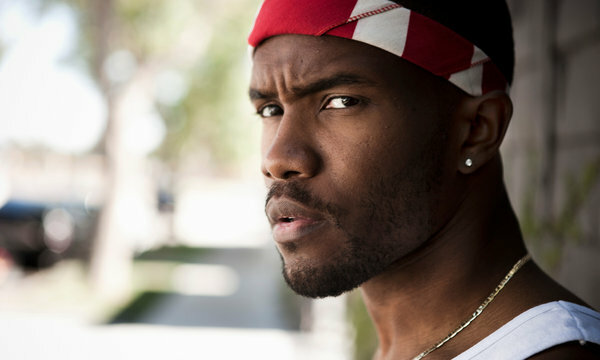 FRANK OCEAN “Channel Orange” (Def Jam) The moody introspection of a soul-ballad man fuses with the metaphor-making skills of a rapper in the sparse, aching songs that fill Frank Ocean’s official debut album. Even with some resemblances to Prince and R. Kelly, he’s an unusual character for R&B: estranged but observant, admitting an attraction to a man, finding emptiness where others find material or emotional comfort. 2. FIONA APPLE “The Idler Wheel Is Wiser Than the Driver of the Screw and Whipping Cords Will Serve You More Than Ropes Will Ever Do” (Epic) Fiona Apple’s fourth studio album teeters, moment to moment, between obsessive confession and dark vaudeville. 3. BOB DYLAN “Tempest” (Columbia) Sure, his voice is a wreck. But nothing any prettier could encompass the bitterness, sorrow, lust, nastiness, longing, vengeance and backhanded humor that course through the songs. 4. KENDRICK LAMAR “good kid, m.A.A.d. 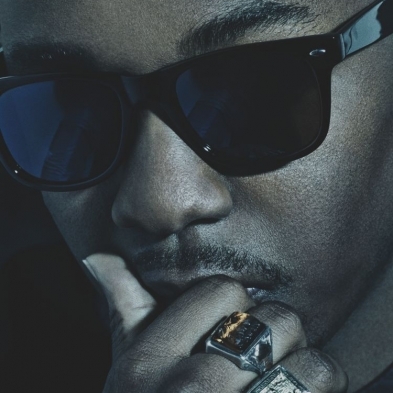 city” (TDE/Aftermath/Interscope) Kendrick Lamar wades through contradictions on his second album. He’s from Compton, Calif., gangsta rap’s home turf in the 1980s and ’90s, and in some ways he’s an old-fashioned hip-hop storyteller, chronicling a cityscape still shaped by poverty, gangs, crime and police, over tracks that echo both ’70s soul and vintage gangsta rap. 5. GRIZZLY BEAR “Shields” (Warp) Grizzly Bearclarifies its music without simplifying it on its fourth album. Vocals are less hazed in overdubs, drums are pushier, lyrics are slightly less enigmatic as they ponder intimacy and distance. Yet the new songs are still labyrinths of tension and release; there’s no telling which way they might waft or surge at any given instant. 6. ALABAMA SHAKES “Boys & Girls” (ATO) This isn’t a soul revival. It’s plain old soul, and the only gimmick is that there’s no gimmick. Alabama Shakes are a small-town Southern band with a singer, Brittany Howard, now 24, who earns Janis Joplin comparisons because she’s dynamic, direct, improvisational and raw. 7. NORAH JONES “Little Broken Hearts” (Blue Note)Norah Jones modestly (of course) but thoroughly overhauls her music here. The 100 percent organic, folky-jazzy whisperer has metamorphosed into a deft pop songwriter, with pithy breakup and post-breakup songs — sometimes doleful, sometimes sly — that turn a handful of moving parts into mechanisms of catchiness. 8. METZ It’s just about always clobbering time for Metz, a three-man Canadian band that has reclaimed and distilled post-punk into a galloping, scrabbling, feedback-laced catharsis. The arrangements and production on “Metz” (Sub Pop) focus the music into a bristling, concentrated attack, so fierce that the complaints that fill the lyrics come across as full-blown existential crises. 9. BETTYE LAVETTE “Thankful N’ Thoughtful” (Anti-) Along with a rip-roaring autobiography, “A Woman Like Me” (Blue Rider Press), the soul singer Bettye LaVettemarked her 50th year as a performer with this cannily chosen assortment of songs about alienation: romantic, political, psychological and philosophical. Her voice bites into every one, from Neil Young’s “Everybody Knows This Is Nowhere” to Gnarls Barkley’s “Crazy,” drawing lessons informed by her unerring sense of drama and by the scarred resilience of the blues. 10. DJ RASHAD “Teklife Vol. 1: Welcome to the Chi” (Lit City Trax) The budget is minimal and the creativity extreme for DJ Rashad, who makes music to accompany footwork, the competitive dance style that has been a local Chicago phenomenon for more than a decade. With the shallow, brittle sounds of cheap drum machines and keyboards, stray vocal snippets and very rarely, out of nowhere, a recognizable instrument or chord, DJ Rashad sets up twitching, spattering rhythms, then splinters and fractures them; it’s ultra-austere music that keeps ambushing itself.